In 1613, the galleon ship Date Maru commanded by Samurai Hasekura Tsunenaga left Japan, and as its destination; Europe. The Keicho Embassy, comprised of Japanese merchants and 22 authentic Samurais, were determined to establish trade relations with Spain, which was the major world player at the time, and a religious agreement with the Vatican. This was the first major encounter between the Japanese and Western cultures. At the end of 1614, after sailing the Pacific Ocean and crossing the Atlantic, the galleon arrived in Spain, overcoming the mouth of the River Guadalquivir, and landing at the impressive port of Seville. After three years of vicissitudes and negotiations in Seville, Madrid, Barcelona and Rome, the Embassy failed to seal their trade deals with King Phillip III, but left a profound impression. Many of the Samurais did not return to their country, and instead settled in Coria del Rio (Seville), and its successful heritage are the 1400 Spanish descendents that share the surname “Japón”. In 2010 one of them, Marcelo Japón, with his 20 years of experience in the real-estate industry and a true expert in the sale of luxury properties, decided to create a new concept in exclusive real-estate; a 400-year old dream that was finally made a reality. 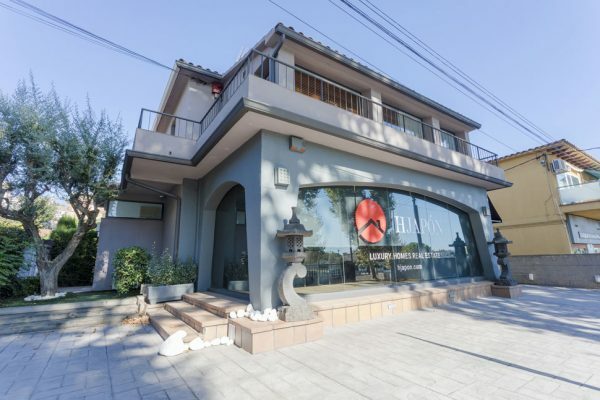 HJAPÓN is the first luxury real-estate agency that combines the philosophy and principles of the legendary Samurais with the creativity and modernity of the Mediterranean urban culture. From inception, this merger has resulted in the formation of our core competences, moulded by our Japanese heritage. Our company ethos centres on the principles of “honour”; respect, discretion, ethics, loyalty and our attention to detail and perfection. All of these have been combined with our passion for innovation, new technology, the use of social media, the application of the most advanced marketing strategies, and our brand presence in over 50 countries. Our aim at the end of the day is to provide an excellent service and the best results throughout the process of buying or selling your property. The Japanese word “Samurai” means “to serve” or “the one who serves”. This is a concept that, along with the strict teaching of the Bushido code or the “Journey of the Warrior”, is followed with diligence by the Samurais, and defines the values and principles that we follow here at HJAPÓN. HJAPÓN in a new concept in the real-estate space that is based on the philosophy founded on the Bushido Code, and leads to a new, higher level of professionalism and excellence. For all these reasons, HJAPÓN’s head office is located in what we have termed as ‘the Samurai Palace’ – a 2-storey building in Alella (on the coast of Maresme) where we are committed in providing an exquisite service to our clients in line with the Samurai principles of Honour, Value, Humility, Respect and Loyalty. Our ‘Samurai Palace’ has been designed and decorated to pay homage to the noble Samurai Hasekura, leader of the legendary Keicho Embassy that passed through Barcelona. This influence can be seen in all the rooms of our HQ. One such example of this is the HASEKURA room which has been dedicated to the 400-year history of the JAPÓN surname and the Samurai origins. 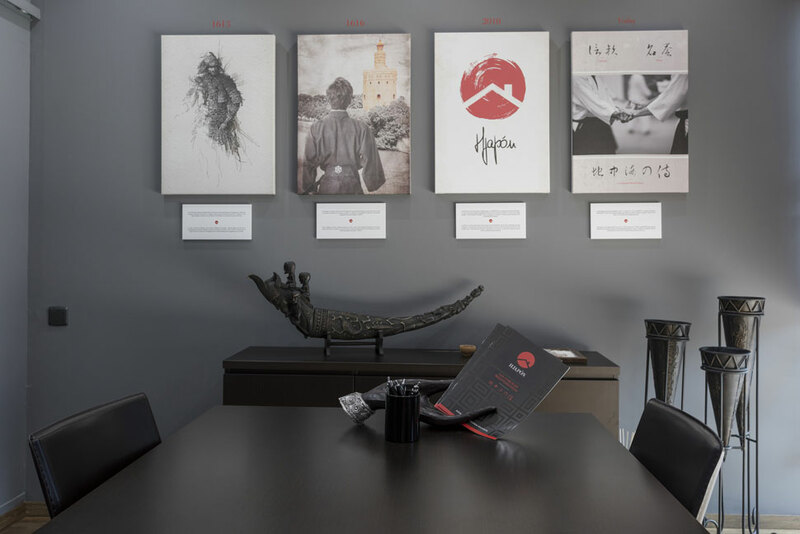 This is one side of our brand that has been used to explain to clients our innovative work ethic and methods, and our efforts that have made us into the finest luxury real-estate agency on the coast of Maresme. 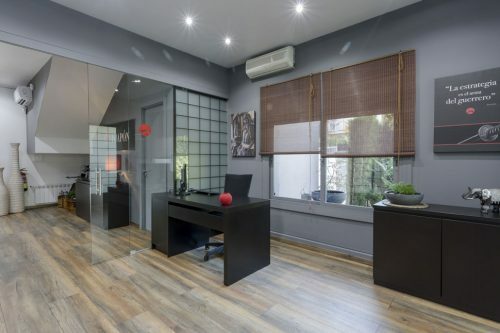 Additionally, the impressive ‘DATE MARU’ room is dedicated to our customer service team who are trained in the most advanced commercial techniques and real estate management, and design the best sales and rental strategies for exclusive properties in Barcelona and El Maresme. A large world map symbol of our international presence and an emblematic phrase presides over this room: “The word Samurai means to serve or the one who serves”. 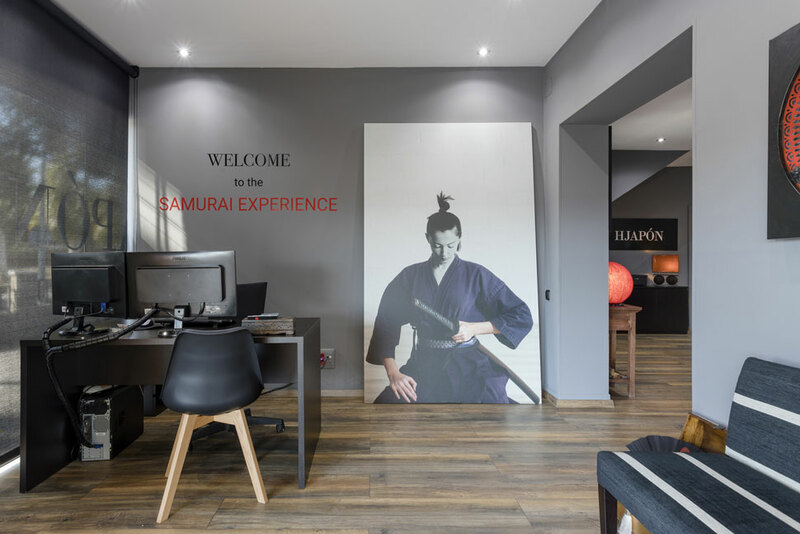 The ‘BUSHIDO’ room is where our marketing team are based, designed campaign and communication strategies with the Samurai principle in mind that “Strategy is the weapon of the warrior”. This is our most creative room where we also host clients on certain occasions. And finally without forgetting we have our gorgeous ‘HANAMI’ room where inspiration and meditation flows. 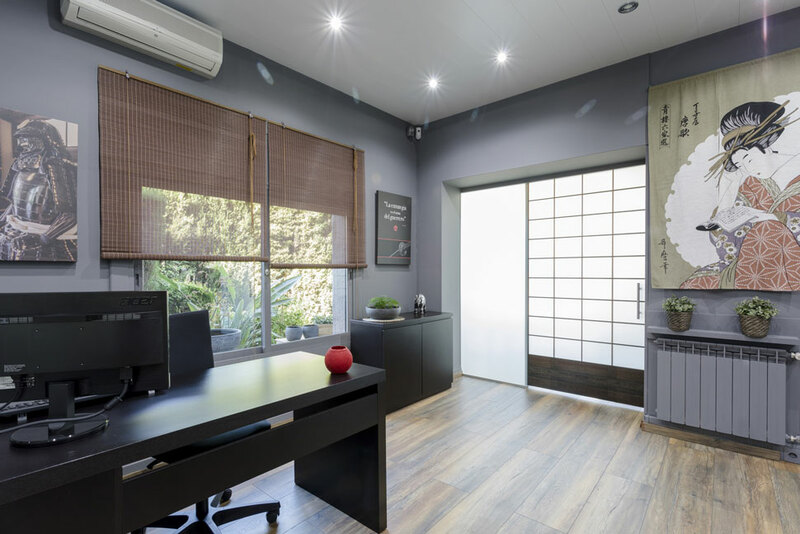 This area is reserved for the most exclusive clients and where we pay respects to the cherry blossom flowers or SAKURA, thus symbolizing our vocation to offer excellent client service, taking care of every last detail. 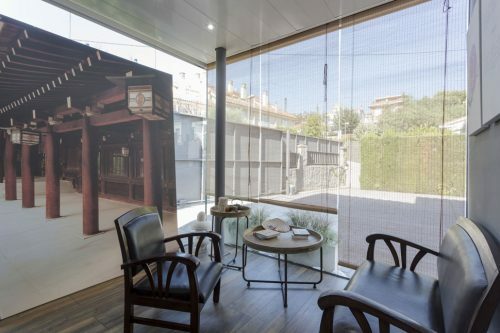 Come and visit our Samurai Palace in Alella. It would be our greatest honour to welcome you. Similarly, our brand is enrolled in the register of the Generalitat of Catalonia with the reference AICAT 4264, and we also belong to the Professional Association of Real Estate Experts in Spain.